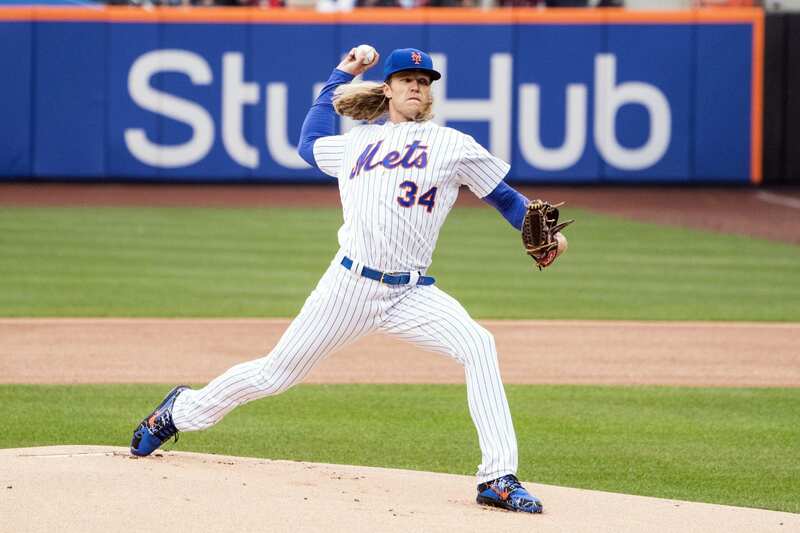 With the New York Mets virtually out of the playoff hunt, the injuries have slowed down a little and the Mets have put some key players on the shelf. There is no real need for anyone to return now and they are being extremely cautious with all of their players. Michael Conforto (thumb) did not start in Sunday’s win against the Pittsburgh Pirates with a sore thumb. He first aggravated the thumb when he was jammed on a swing about two weeks ago and felt the pain again after being jammed a couple times on Saturday. He was well enough to pinch hit and with a day off Monday he should be back in the lineup on Tuesday. Yoenis Cespedes (heels) announced he would be undergoing season-ending surgery on his heels on Wednesday. Cespedes only played in one game before he shut it down again because of the pain in his legs. The procedure will take 8-10 months to recover from and will likely take away from him playing in the beginning of 2019. Cespedes is set to make over $65 million over the next two years of his contract. Noah Syndergaard (illness) is set to pitch again on Wednesday against the Washington Nationals. He suffered a hand, foot and mouth virus from working a youth camp over the All-Star break. The illness was not life threatening, but it was something only a Met would get. His name has been brought up in trade talks throughout the year, but it is apparent he will stay in New York. Todd Frazier (ribs) began a rehab assignment in Port St. Lucie on Saturday. After going his entire career without a DL stint, he has had two in his first season with the Mets. He is set to return at some point during the upcoming week. He has only hit .217/.300/.385 with 10 homers in 61 games this season. Jay Bruce (hip) hopes to begin swinging a bat within the next few days. Bruce has had an extremely disappointing year with the bat and his health. He only has three home runs and 17 RBIs and his failures can be contributed to his poor health. The Mets hope to have him at 100% before they even think about putting him back on the roster.